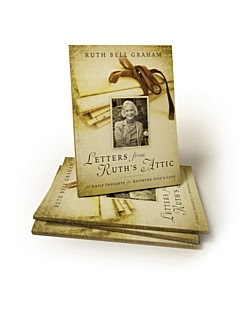 This week I received a copy of the late Ruth Bell Graham's book Letters From Ruth's Attic. This is a collection of 31 short devotionals that have previously been published in Decision magazine. I enjoy Mrs. Graham's style and have tried to replicate it when writing my own short Pilgrim Scribblings. Why not write the Billy Graham Evangelistic Association of Canada and request a copy.